I started this CD two years ago when I first became a Christian and started down a different path in my life. I would listen to the Bible Studies and sermons of Pastor Arnold White, Pastor Ron Mellor, Pastor Don Smith and our Bible Study Instructor Jerry Williams. I must also add that I was also very inspired by the teachings and friendship of Pastor Gary Venden, Marilyn Venden, Pastor Ernie West and Pastor Barry Uloff. With many of these teachings I would rewrite the essence into poems and songs which I refined and rewrote into the songs I am in the process of recording at my home Recording Studio. This Studio was formerly a commercial business (TealMoon Recording). These songs are basically my Christian walk so far. I have invited other Christians from our Church to get involved with the album. I am interested in finding others to participate. This CD is still in the process of being recorded and I am beginning recording in March 2009. And recently, I have got myself a Morgan Monroe Dobro and began in June of 2007. It's a great instrument and adds a real deep mountain sound! These song projects are mostly educational and were orginally designed for teachers, educators, parents, students and children for school curriculum units. These were songs and stories of the sea, the west, young heroes of the American Revolution and songs on the various Islands I had visited. I found that many others of a general nature were also interested when they found my website. Having taught in the Ross Valley School District in San Anselmo, California (Marin County just North of San Francisco) for 26 years, I had been given a true blessing of experiencing children from grades Kg to 6th grade. Also writing for a couple of Television shows (Guitar Tickle and KQED-TV) brought my students and I in touch with a challenging time. 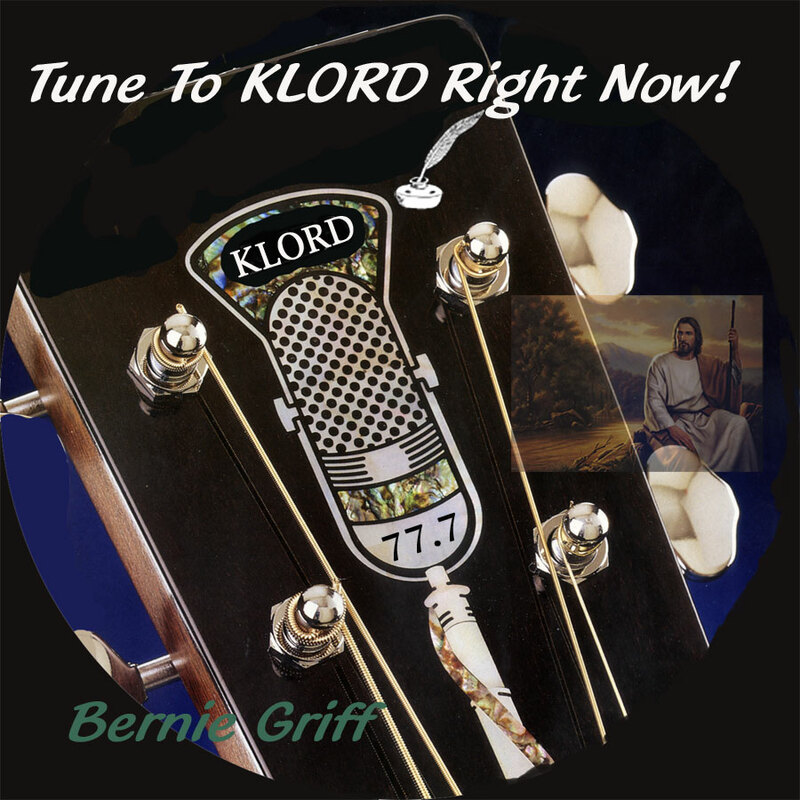 UPDATE: As of March 4, 2009, I have started to record the Christian CD Album: Tune to KLORD. However, I am still dabbling around with a CD title change. Since I am still recording some secular music for friends, I have also been writing on some local history and current happenings. The results are heralded below. I have recorded "PATRIOT & LIBERTY" and Janie Seeger, a fine vocalist will record a track soon. The 2 gorgeous Redding, California eagles named Patriot and Liberty make their home between 2 bridges in Redding near highway 44. They also had 2 babies last year (2008). The 2 eaglets were named Freedom and Conehead but my wife Mina changed Conehead to Rebel, which I liked much better! Also I read about a fascinating train incident that happened north of Redding in a little town near McCloud in Siskiyou County. I was intriqued with this story and wrote a song about it: "STEEL OVER THE MOUNTAIN", also vocal by Janie Seeger of band "Bonafide".